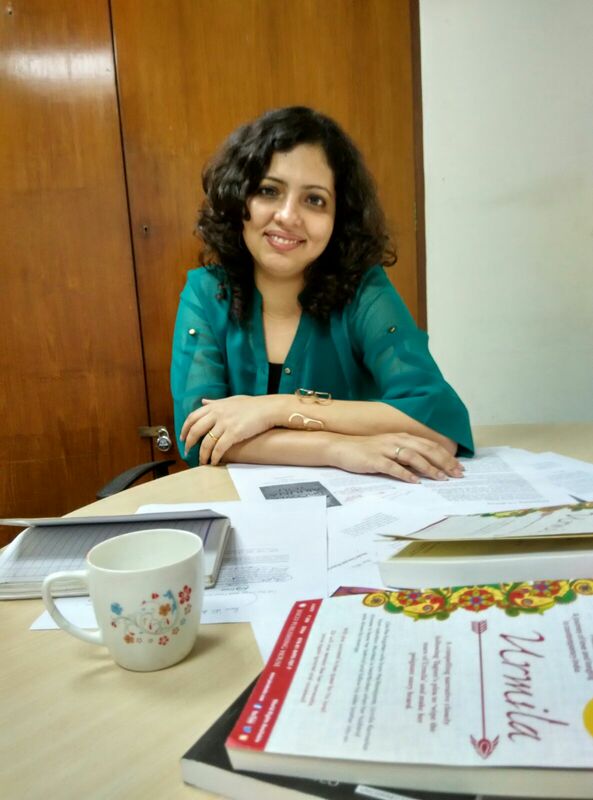 Pervin Saket is the author of a collection of poems ‘A Tinge of Turmeric‘, (Writers Workshop, India) and her poetry has been featured in Kritya, Platform, ‘The Binnacle’ (University of Maine, USA) and others. 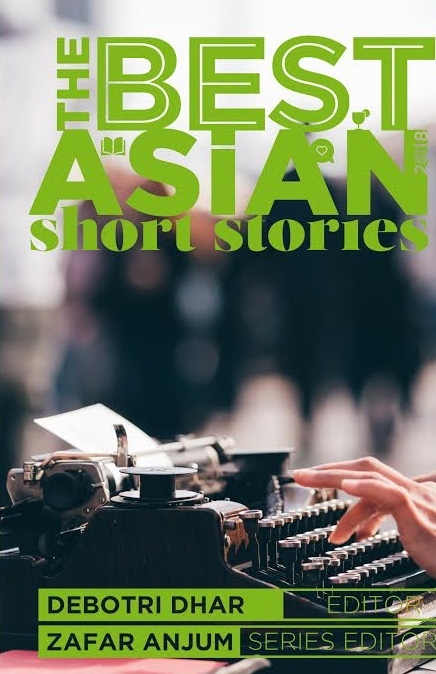 Her short fiction has appeared in ‘Journeys’ (Sampad, UK) ‘Breaking the Bow – Speculative Fiction Inspired by the Ramayana’, (Zubaan, India) ‘The Asian Writer Collection’ (Dahlia, UK), ‘Aliens’ (Prime Books, USA), ‘Earthen Lamp Journal’, ‘Khabar’, ‘Love Across Borders – An Anthology by Indian and Pakistani Writers’, ‘Page Forty Seven’ and others. 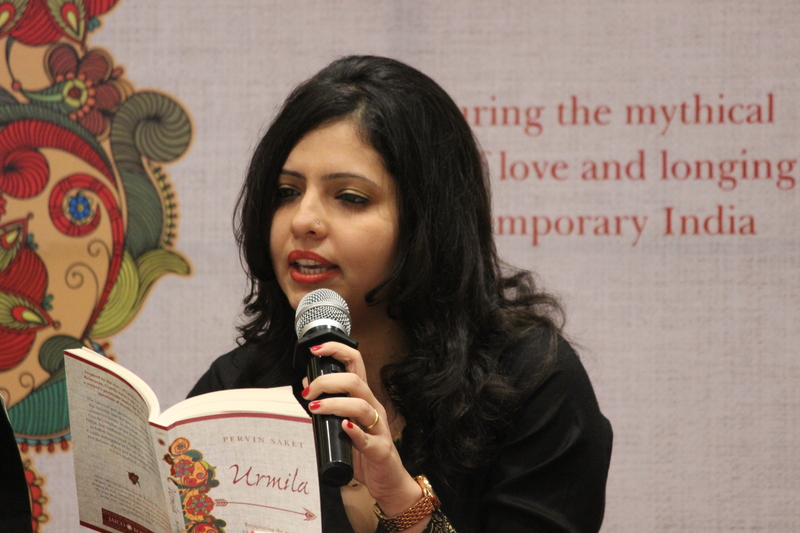 Her fiction was shortlisted for the Random House India ‘Writers Bloc’ Award 2013 and her debut novel, ‘Urmila’ (Jaico) hit the bookstores in January 2016. It is also available on Amazon and on Flipkart. Pervin Saket: This is a question I’ve asked myself often since Urmila is not typically the kind of heroine I would be inspired by. As a child, I found her rather passive; she didn’t have the feisty assertiveness of Surpanakha or the stoic wisdom of Mandodari. 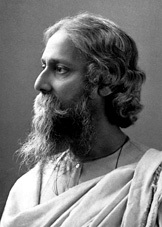 However, in a text like the Ramayana that dwells so much on right and wrong, on the ideal man, the ideal woman and the ideal king, in a narrative that is not just descriptive but also prescriptive about how one must conduct themselves, it is important to examine not just what is said, but also what is left out. And this is the space that Urmila occupies. The margins, the footnotes, the silences. I find that the silences have a story as much as the rhetoric. And this is the space that I am drawn towards. This is probably a reflection of the kind of person I am; very often I find myself tuning out the talk and listening to the silent person in the room. And I’m quite convinced that all sounds such as speech, discussion, music, noise are actually background; the foreground, the little bursts that actually mean anything, is silence. This perspective finds its way into my reading as well, and probably explains why I find my themes and concerns reflecting in the silent or silenced story of Urmila. RKB: What were the initial days like, when you began the book? Your writing world, routine, thoughts and interactions with friends and family. 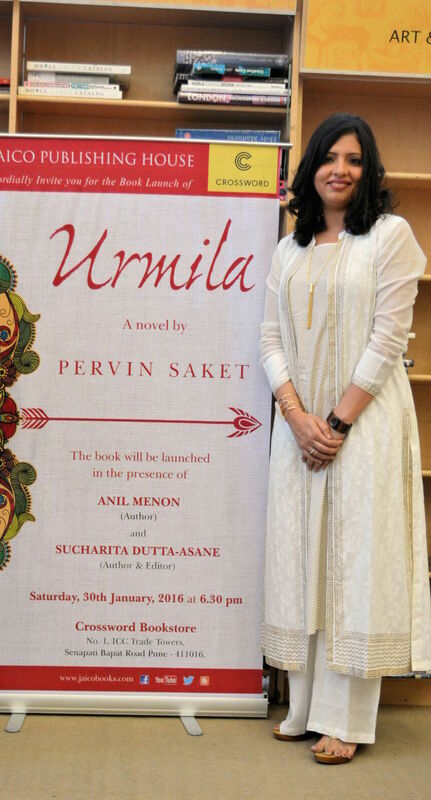 PS: When I first began working on Urmila, it was like the start of a love affair. There was some shyness, a few hesitant explorations, the temptation to dress up the text, sleepless nights, questions of “will this last” or “where is this going”. At that point, the direction of the narrative was so uncertain that the very act of writing seemed like an indulgence. I remember for instance, my husband returning home every evening after a very long day at office, having been through a dozen crises, and he’d ask me “So how was your day? What did you do?” And all I could say was “I thought of a new scene” or “I wrote a page of dialogue”, all of which sounded terribly inadequate. My biggest help at that time was a sense of routine. I set weekly targets (daily targets I found too unpredictable with the responsibilities of a day job and many other factors) and I made sure to meet them. I’m very fortunate in my friends, and am part of a wonderful group of talented writers; we initiated a system of sharing our experiences, the writing process, writing goals, giving feedback etc. 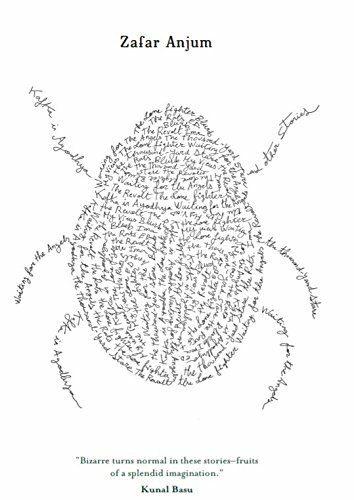 We called this “the writing sprint” – though sometimes it seemed less like a sprint and more like a craw! Urmila, in many ways, was nurtured by this process. Anil Menon’s recently released Half of What I Say (Bloomsbury) was also drafted and redrafted during the sprint, so clearly it was a very enriching and rewarding process. RKB: What do you think of Lakshman in The Ramayana? PS: It’s interesting that while there are so many versions of the Ramayana and regional Rama kathas, the depiction of Lakshmana has relatively few variations. I see him as a man passionately in love and completely in submission to the impulses of this affection, irrespective of how they play out on other relationships. With the object of this intense devotion being his brother, Lakshmana is unable to form meaningful relationships with anyone else (including not just his wife Urmila but also his twin brother Shatrughna). I believe there is a fine line between love and attachment, between revering someone and living in the shadow of that person, and Lakshmana often crosses that line. However, what is more disturbing is that we haven’t asked more questions about this attachment. His relationship with his brother is labelled ‘adulatory’ or ‘devotional’ but there is something very disturbing about a text that first upholds the institution of marriage and then refuses to even comment on a central character ignoring the vows of this very institution. The questions in Urmila are directed not just at the husband but also at the historical and contemporary social and cultural environment that accepts his choice as an easy, default direction. RKB: I felt that while Urmila had inspired you, you were also very interested in depicting your idea of the two brothers in Ramayana. Casting them in a modern world situation. Is my supposition right? PS: The emphasis of the narrative was always Urmila and her perspective. I wanted to use a contemporary setting because it seemed unfair – and unchallenging – impose a modern criticism on a text associated with a different time and culture. Further, I wanted to examine the prevalence of this value system not in Valmiki’s Ramayana but in the way it plays out in our contemporary relationships. Of course, the brothers occupy a heavy undercurrent in the story, but only so far as this establishes Urmila’s situation. In fact, the use of the first person narrative ensured that every scene is filtered through her lens and carries with it the mark of her perception. It was also a deliberate technique to keep the husband unnamed (he does have a pet name ‘Chhotu’ and Urmila calls him ‘Shree’ which could be a short form of Shreekant or Shreenivas or just a generic word for Mr) since a name is perhaps the shortest story one can tell. In the epic, Urmila does not have a voice, in her story, she does not grant him a name. RKB: Is Vani a modern day Sita? I felt that in your sketching of her character, you held yourself in check and did not judge her. Can you muse aloud about your imaginings and re-imaginings of Sita who is virtually deified in our country? PS: Vani has been read as a subversive representation of Sita, but I’m reluctant to make a direct connection since the narrative is not just a transportation of Valmiki’s Ramayana into the 21st century. As an author, I owed it to Urmila to establish a narrative that frees her from the fate of her namesake and hence, any associations for other characters are also loose ones. The primary focus was always Urmila’s journey; the other characters developed in response to this need. 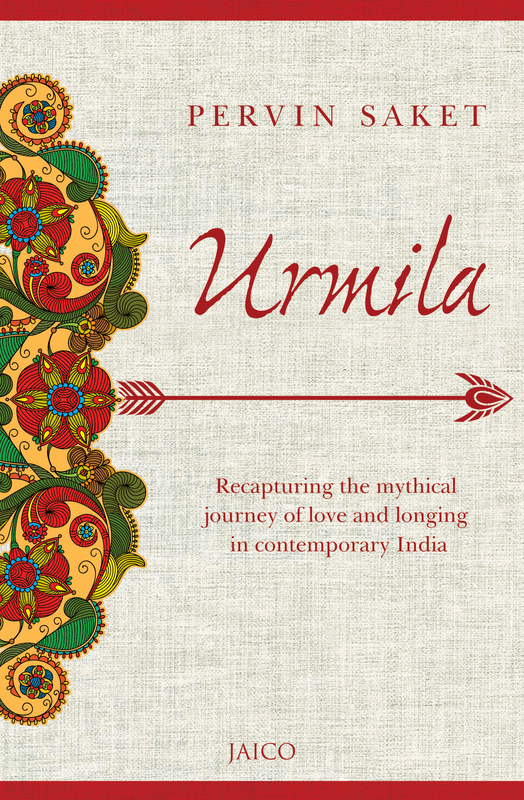 I’d like to think that Urmila can be read in two ways – as a straightforward love story of loneliness and longing even by a person unfamiliar with the Ramayana, and also as a deeper exploration of duty and devotion by anyone who wishes to bring their readings of the Ramanaya into this narrative. So as interesting as it is to receive feedback about Vani containing echoes of Sita or Roopali-Kaku mirroring Keikeyi, these are subconscious doors that the narrative and the reader have opened up. I did want shades of these characters in my novel but I resisted the urge to create replicas. My engagement with Sita as a character in literature has been a rich and fabulous journey; my associations with her as a deified goddess are non-existent. The epics are precious for the many kinds of readings they offer, and it is entirely satisfactory and enchanting even, to engage with them solely as literary texts. Of course, these interpretations do lead to discussions of the nature on truth, duty, identity, relationships etc. however, for me this is comparable to how I might engage with Shakespeare or Kalidasa, i.e. as extensions of the great capacity of literature to reflect the human condition. RKB: Which female characters from our epics, myths and legends that you feel close to? PS: Epics, whether from Asia or Europe, have always been a source of inspiration for writers, musicians, filmmakers and artists. I believe that a large part of this connection is because of the richness and depth of the epic format and because of its interconnectedness with our values as a society. At the same time, some of the fascination for epic literature also lies in the discomfort it generates. As a writer engaging with these stories, there is an itch to set it right or to tell it differently, to fill up a silence or to silence an error. The voices of Sita, Urmila and Surpanaka have stayed with me over the years, and I have also written on Draupadi, whose unique situation as a shared wife and as the harbinger of war among brothers, is both disturbing and fascinating. Recently, I also find myself drawn towards Kunti and her sense of rejection when Pandu approaches Madri in lust, knowing and accepting his death in the process. This episode not only suggests Pandu’s greater and unsurmountable desire for his second wife, but also his willing to give up his life and leave Kunti widowed as a consequence. It would be interesting to explore this moment from Kunti’s perspective and understand her anguish as a sexually rejected woman and as a single mother. RKB: What issues disturb you? And do they seep into your work? Can you give us a few examples? Including poetry. PS: Much of what I write is an exploration of identity, of what it means to be a woman or a rebel or an Indian negotiating a particular social and political landscape. I am disturbed by injustice, by borders, by infringements on freedom, by prejudices. While these concerns naturally weave themselves into all my work, I sense that poetry is often the vehicle for this articulation. There’s something raw and urgent about poetry, something about the openness of its format that accommodates narratives too delicate and hesitant to work elsewhere. For instance, the poems ‘Hands’ (first published in Helter Skelter, edited by Arun Kale) and ‘Left of the Horizon’, (first published in ‘Veils, Halos and Shackles’, edited by Charles Fishman and Smita Sahay), are responses to the abuse and violence that women have been subjected to. They are also experiments in form; while ‘Hands’ is written in a mirror-format with two verses placed side by side, mirroring each other, ‘Left of the Horizon’ can be read top to bottom and also from the bottom to the top, with both the readings offering opposite interpretations. Another story, ‘Of Goddesses and Girls’ (first published in ‘Ripples’) deals with the irony of a family participating in a prayer ceremony where girls are deified, and then turning away volunteers who come to their door to talk about destitute girls. The story ‘Green or Brown’ (first published in ‘Khabar’) hints at the strange, silent friendship formed between two soldiers in opposite camps as their armies contemplate battle along an unusual border. RKB: What are you working on now? PS: I find myself increasingly drawn more towards poetry now, and am working on a new collection of poems, including long narrative poems and experiments with verse, language and point of view. I’m also working on a collection of Bombay short stories that focus on the city before it became Mumbai. It is an eclectic collection but Bombay features strongly in each of these stories, becoming almost a character that takes the narrative forward. I’ve started research on my next novel too, which is set during the Indian independence movement and explores the relationship between a married, anglicised, Parsi ICS officer and a young, Hindu freedom fighter woman. It’s a story that will allow me to explore many questions about love, about what it means to be Indian, about the problematic side of patriotism and about destiny versus free will. PS: My earliest influences are certainly the literature I read in school: comics, Enid Blyton, Ruskin Bond, and then later poems by Nissim Ezekiel, Kamala Das, Henry Louis Vivian Derozio and Robert Frost, abridged versions of Heidi, Jane Eyre, The Merchant of Venice. I remember being particularly struck by Auden’s ‘The Unknown Citizen’, and marvelling at the disconnect between the personal and the social faces of an individual. Speaking of influences, I used to stay back in the library after school hours, and soon, there’d be no one left except me and the clerk who arranged books in the cupboards. I don’t think he even knew my name but he’d always wait for me to finish my book before shutting the library. Some books were thicker, some were quicker, and he’d check from the corner of his eye to see how many pages were left for me to finish, and he’d just fidget around till I shut the book. I now think that he too must have had a family and children waiting for him at home, but this little act of sensitivity and kindness enriched me in so many ways and played an important role in my journey as a writer. Arundhati Subarmaniam’s poetry is something I go back to often. I also find myself rereading Barbara Kingsolver’s The Poisonwood Bible for its multiple voices, the lyricism of the prose and the power of its images. It explores the perspective of five women in a Baptist family in Belgian Congo, as the landscape begins to change them. Another book that has stayed with me is Kiran Nagarkar’s Cuckold. He weaves together history, legend and mythology to form the greatest love triangle of all – that between man, woman and god. The narrative is from the perspective of the Rajput prince who is the husband of our greatest Bhakti poet, Meerabai, as he tries desperately to get his wife to fall in love with him. Added, the backdrop of war, palace intrigues, the musings on art and music or on the Rajput notions of valour, all make this a fascinating read. RKB: The book also brings alive Maharashtrian cuisine. You must be a foodie. What are your favourite Mumbai dishes? And will you please share the recipe for Amti? I felt upset when the Amti was left on the stove too long and thus over cooked to tastelessness in your book! PS: I remember as a child I had a crush on a boy but was too shy to tell him. One day I saw his mother trying to coax him to eat; she was telling him how good the food is for him, to take a few more bites, I was aghast, I couldn’t connect to someone who did not enjoy food. My crush evaporated instantly! I love pav bhaji, dhansak – pulav, all coconut-based curries and of course, the quintessential Mumbai snack vada pav! I like to experiment with cooking, and while it usually tastes good, the flipside is that I can never stick to one way of making something. So the every time I try cooking something, I add something new or change the proportion of the ingredients and it ends up tasting different – but good! The aamti in the novel is a little different from the traditional Maharashtrian aamti – I couldn’t resist adding a couple of my own ingredients even in the scene. To make aamti, first pressure cook 1 cup toovar dal with a pinch of turmeric powder. Then, in a pan, heat some ghee, crackle mustard seeds, add asafoetida, more turmeric powder, green chillies and curry leaves. Now add the boiled dal and some more water to get a dal-like consistency. Mix in some kokum or tamarind pulp, grated jaggery, salt and goda masala. Goda masala is a dark, Maharashtrian masala, similar to garam masala, but it has additional ingredients like dagad phool (stone flower), dried red chillies, roasted sesame seeds and desiccated coconut, which are not present in garam masala. Finally, garnish the aamti with some chopped coriander and grated coconut. This can be eaten with rice or roti. It’s a simple recipe and makes a very comforting meal. Posted in Authors and tagged A Tinge of Turmeric, Pervin Saket, Urmila. Bookmark the permalink.